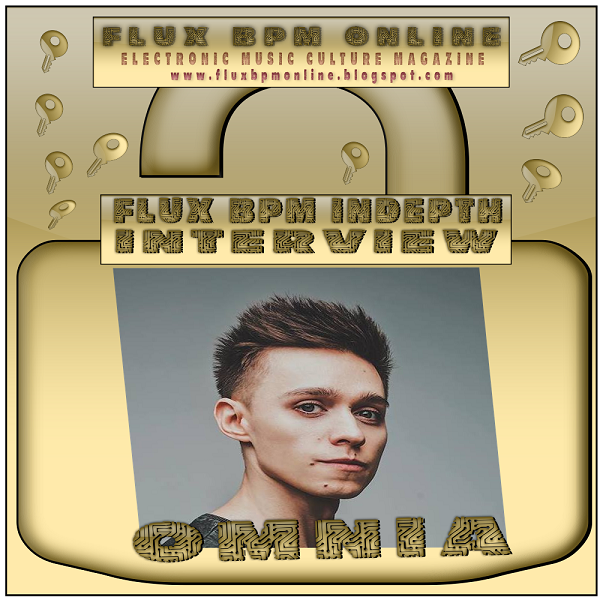 We are glad that Omnia has agreed to answer our In Depth interview questions and you are able now to read his very informative answers...enjoy! Dimitri: When did you started your involvement with electronic dance music and which music style you are more affiliated with and why? Omnia: I started listening to electronic music in 1998 when I was just 10 years old and have been really inspired by the music from the The Chemical Brothers. At that age I felt like I wanted to make my own music. Then, a few years later, when my parents bought me a computer I began to work with music software which has made my first steps in music production. After that I discovered trance music, names like Armin van Buuren, Tiesto, Paul van Dyk, Andy Moor, Above & Beyond, and many more… I felt in love with trance and progressive music and that was a moment I realized that I want to produce trance music. So that helped me a lot to choose the right direction in music production. Omnia: I’m completely self-taught. But I think for the young music talents it’s really great to attend any courses or lessons to understand the basics of music production or choose more complicated courses to improve your skills. Nevertheless, YouTube and Google is really helpful sometimes when I need to find how to make the exact thing I need to do in my track. Omnia: My first released track was my remix of my friend’s track who proposed me to work on his tune. That was ‘In Progress – Avalanche’ in 2007. To be honest my production skills at that moment were very low, haha. But I tried to do my best and the remix was signed on ‘Cartured Music’ and even got support from big names like Above & Beyond and Markus Schulz which was a great sign for me. Later I also made a few bootlegs. One of them was my remix of Armin’s ‘Never Say Never’ and Armada signed this remix and it was released on Armada Music. So this is how the things started for me. Dimitri: Let's focus on your track Titans with Alex Sonata. Please tell us from where did you got the inspiration for the track? Omnia: The latest release is a progressive and trance record I did with a very talented guy Alex Sonata (Scotland). I’m a big fan of his productions and it was a great experience to work together. We came up with a very strong long melody mixed with the opera vocals. So that is actually a big compilation of different elements inspired by trance, progressive and opera music. And I usually find the inspiration whilst working on a track, I’m trying to imagine in my mind the whole track and following that idea. Omnia: Well we actually came up with the very first melody idea in May 2017, but I’ve been busy with some current projects and only had a chance to get back to the entire production process in September. The whole track was made in around one week. So there wasn’t any difficulties at all! Dimitri: Which was the biggest challenge that you faced during the production of Titans? Omnia: I think the biggest challenge in any collaboration is to make sure that all the musicians involved in a process are satisfied with the result and in that case with ‘Titans’ me and Alex are absolutely happy with the track! Dimitri: Can you describe to us the steps that you went through the production of Titans and of any other track? Omnia: For me the best process with the production is the first idea which in my case usually is writing the melody, and after that I’m usually working on a drop part including searching of the main instruments like bass lines, lead sound for melody, drums, etc.. then the breakdown, then the rest of the track. But of course it really depends on specific production, I mean there are no rules at all and probably the most important thing is to imagine the whole track in your mind. Omnia: Sometimes they do, but most of the time I’m sending finished tracks to the label and usually they are satisfied with the sound and ready to sign it. Dimitri: Is the quality of Titans higher than your previous one? If yes in what ways this track sounds better than your previous one? Omnia: For me each of my productions is something new and I always trying to improve something new but trying to keep my signature sound at the same time. Omnia: Yeah! Some of my close friends, djs and producers who can give me very useful advice. And of course If I have any chance to test a new track at my performance I do. And yeah sometimes you can feel that it would be cool to add or remove something from the track. And this is an amazing feeling when you are playing your tune for the first time and the crowd is really enjoying it. Omnia: I’m only using software in my home studio. My favourite VSTs are NI Massive, Sylenth1, Nexus, Z3ta+, Spyre and many more… It’s too difficult to list everything I’m using because it depends. Omnia: It also depends, usually I’m doing my own mastering, but in some special cases I’m happy to ask other professional engineers. But some music labels prefer to do their own mastering. In that case, I’m just sending the unmastered stems of the track. Dimitri: If you are DJ except of producer please tell us here your Top 3 best DJ gigs so far and the reasons that made them so special? Omnia: I’d definitely mention my first appearance on A State Of Trance event back in 2012 @ ASOT 550 in Kiev. That was my first big show and it was broadcasted worldwide which made me feel a little bit nervous to be honest, haha. But everything was perfect. There are so many shows I want to mention but probably the most exciting for me was ASOT at Ushuaia Ibiza, and all my shows in my favourite club ‘Ministry Of Sound’, London. Omnia: Yeah! I’m really looking forward to my show at Coldharbour Night in Venlo, Netherlands on 31st May, and we just confirmed ‘CityFest’ in Prague which is going to happen this summer! Dimitri: Do you produce a radio show/podcast as well? Please tell us here all the details about it. If you don't have one please tell us why you don't think is important for your career. Omnia: Yeah! I’m doing a monthly radio show ‘Omnia Music Podcast’, the broadcast covers around 100 radio stations worldwide including Digitally Imported and Sirius XM. I’m trying to highlight my music favourites as well as to represent young music talents from all over the world with their guest mixes. In 2017 I had a chance to invite such great names like Craig Connelly, Genix, PROFF, Arisen Flame, Yoel Lewis, Noise Zoo and even more big names planned for 2018. Omnia: First of all, you should keep in mind that success will come to you only if you are working hard and spending days and nights in your studio. It’s important to improve your production skills every day and you need to create as much music as you can to get attention of the audience. To make it faster it’s really necessary to find your own signature sound and the way to produce. And remember that we live in the era of social media where you are able to use so many opportunities to communicate with your potential listeners. Blogs, vlogs and that kind of stuff will definitely help you to get in touch with the crowd. At the next stage of your career you will also need some help from other professionals like management, booking agencies and staff as it’s still big business and you can’t make it on your own … But anyway first of all it’s everything about the music, YOUR music. Many thanks to Omnia for finding the time to reply on this top notch interview. Many thanks to Beth from Nocturnal Artists for organising this interview.